As the Trump administration’s on-again, off-again trade war with China continues to create uncertainty for investors, we sat down with geopolitical strategist Peter Zeihan to learn more about the tariff program and what it could mean for the US economy. Similarly, we discussed the changing outlook for Silicon Valley technology firms — especially Tesla, Facebook, Twitter and Amazon — which could be facing a new era of regulations. 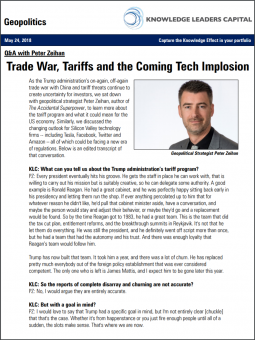 Click Trade War, Tariffs and the Coming Tech Implosion to download the full report. Peter Zeihan is the author of The Accidental Superpower and The Absent Superpower. We hope you enjoy the discussion. 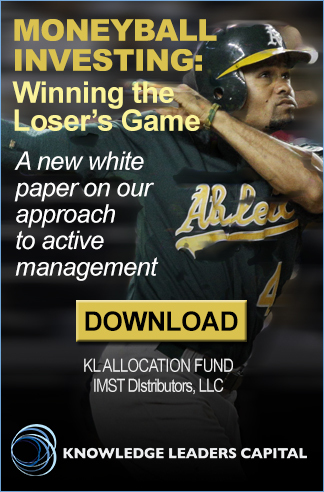 Please send questions to investmentteam@klcapital.com. 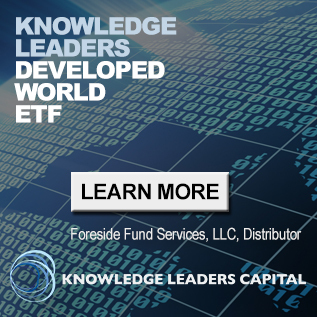 As of the most recent month end, Facebook was held in the Knowledge Leaders Strategy.